The digital music age has relegated many vinyl record collections to basements, attics or the backs of closets. Although most music lovers these days prefer the clean, crisp sound of digital music and the convenience of finding a song with the simple click of a high-tech device, vinyl record albums still have plenty of fans. Vinyl record collectors have started a boom in the vintage music industry and may be driving up the market prices for some of your old favorites. Catalog your album collection. Many vinyl record buyers are interested only in specific genres of music. For example, hip-hop albums from the late 1980s and early '90s are popular among disc jockeys who still spin records. Cataloging your collection by genre will help expedite sales of your vinyl records. Set aside albums of subpar quality. 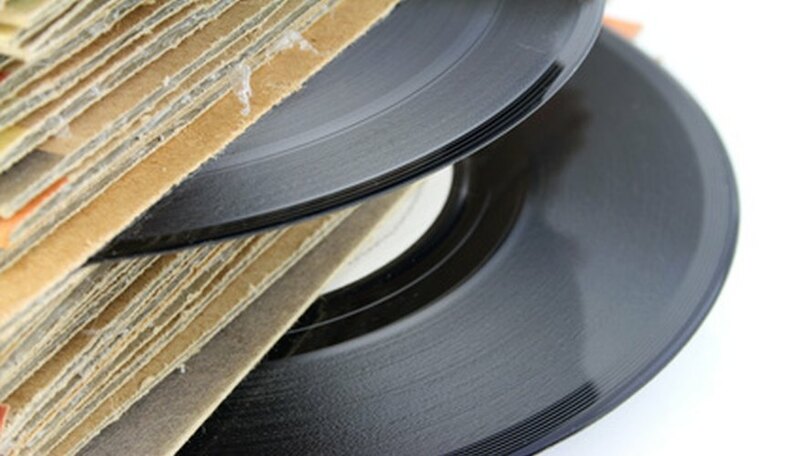 Few collectors want albums with scratched vinyl, missing sleeves or damaged covers. You may be able to sell these records, but at lower prices. Disclose any flaws before you sell your vinyl record albums. Determine the fair market value for your vinyl records. Research recent auctions that provide comprehensive lists of the most popular albums sold. Find a vintage record shop. A local merchant can appraise your collection and make an offer. Dealers also are available online. You send these dealers a list of your albums and an assessment of their condition and receive an offer. Once you agree on a price, you will ship your albums to the dealer. Keep in mind that you will not get the full price from someone who is planning to resell your vinyl records. Sell your albums at an online auction site. You may be able to sell individual items at higher prices this way, although the method is more labor-intensive and can incur auction fees. Well-kept vintage collections can sell at prime prices at online auction sites.